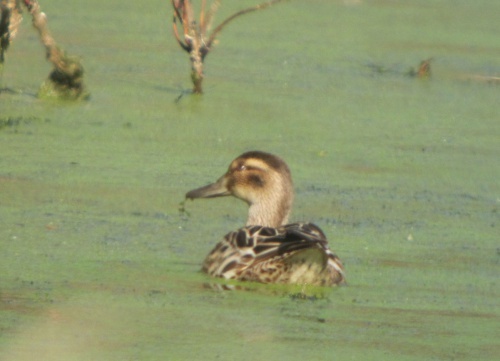 It is smaller than a Mallard and slightly bigger than a Teal. The male is most easily recognised with a broad white stripe over the eye. 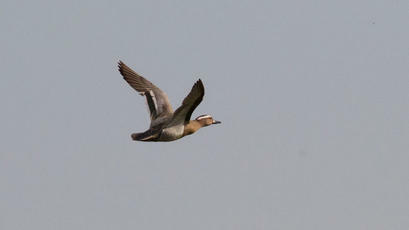 In flight it shows a pale blue forewing. 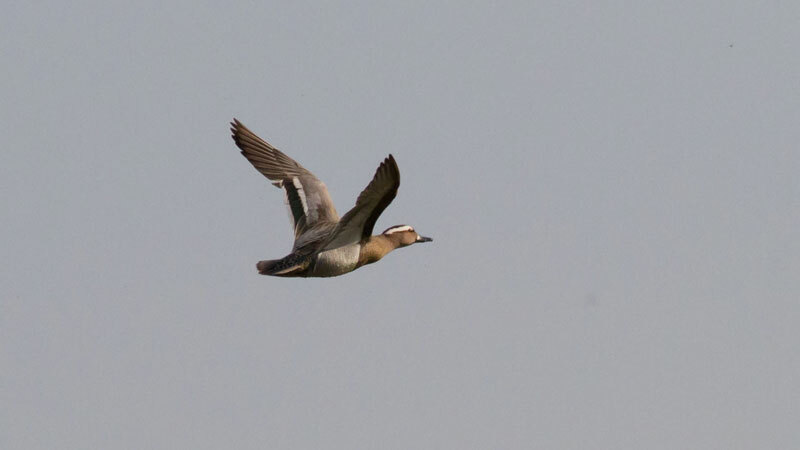 Mostly found in central and southern England. 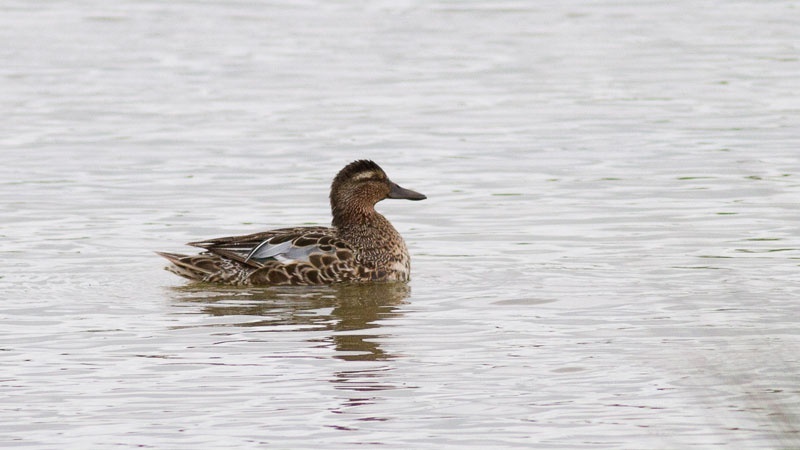 It favours shallow wetlands, with flooded meadows and ditches, and plenty of aquatic vegetation which can make it difficult to see. Breeding birds arrive from March and return from July. 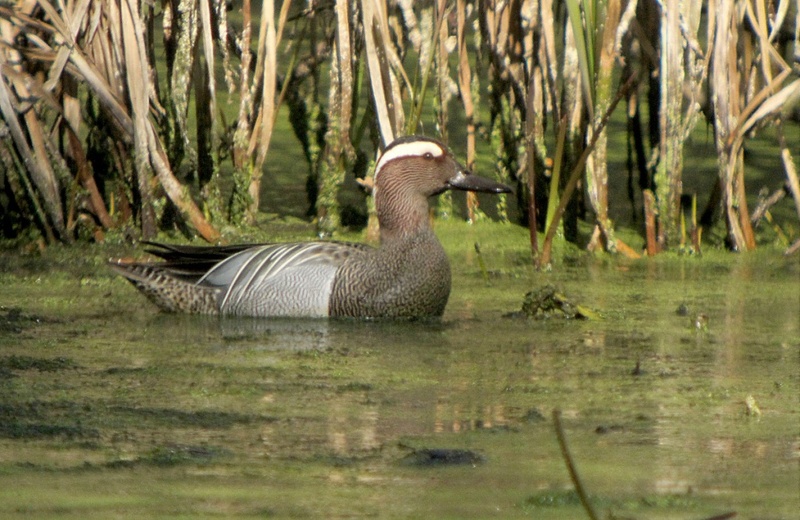 Small numbers of non-breeding birds visit on passage migration in spring and autumn. It feeds by 'dabbling' eating plant material and insects. 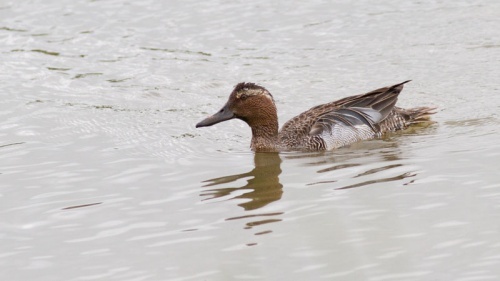 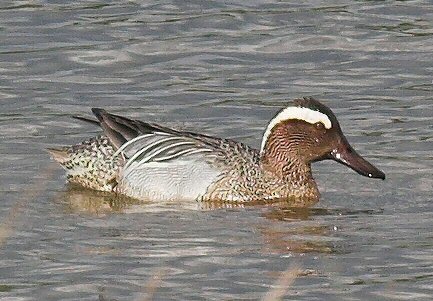 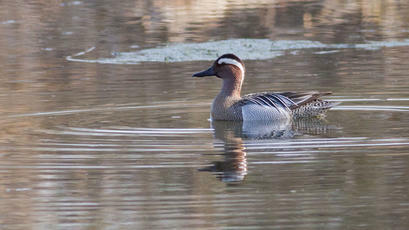 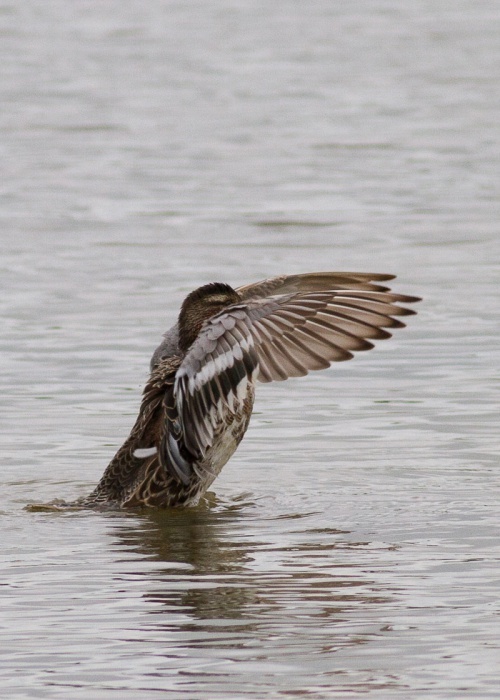 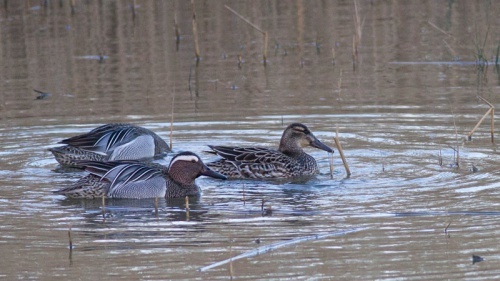 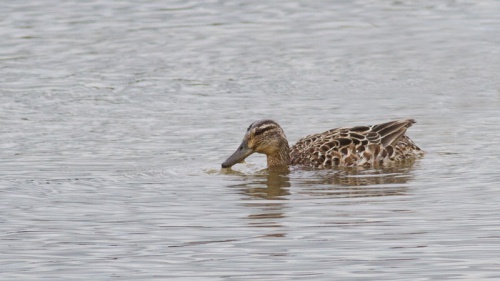 The Garganey is a scarce and very secretive breeding duck in Britain.